Nation branding is a remarkable phenomenon. In less than two decades, it has established itself as the preferred framework for interstate strategic communication and as an emerging academic field. The paper describes how this extraordinary expansion was possible by showing how nation branding presents itself as a theoretical possibility and a practical necessity. We propose that what made a travel possible from product branding via corporate branding to nation branding was the semantic flexibility of the brand concept. 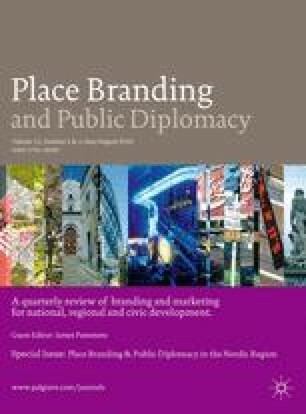 We argue that the brand concept is almost void of meaning and that this feature has been an indispensable requisite for establishing nation branding as a field of practice and as an academic field. Despite the indisputable academic productivity that is a result of the vagueness of the brand concept, we suggest that to reach a normal science-like situation in the field of nation branding a clarification and systematization of central concepts is needed.